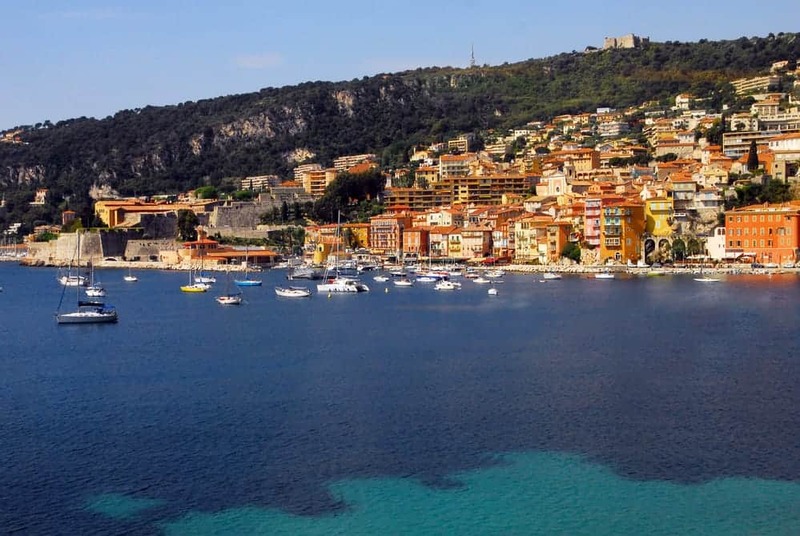 The famous French Riviera, or Cote D’Azure, has something to offer every type of traveller. When you think of Riviera travel, the mind immediately moves onto beautiful people, huge yachts and the famous film festival. A French Riviera holiday is also perfect though for the less rich and not-yet-famous. The weather is fantastic for a large part of the year (or at least better than the rest of Europe). You can laze away the days at any number of pretty little Riviera villages and towns perched on a mountain. 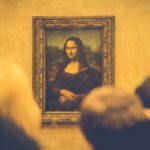 Along with museums, art galleries, great restaurants, and nice beaches, Riviera travel is perfect for everyone. Why everyone loves the French Riviera and you will, too. When I was invited to the launch of a new tourist campaign for the French Riviera with the local tourism boards and EasyJet, I thought the multi-sensory immersive party was brilliant. The French Riviera is a pleasant assault on the senses. You don’t just see the Cote d’Azur, you are touched by the warm sun, the piney scent, the delicious food and the lapping of the waves on the rocky shore. Here are five ways to experience Riviera travel as a sensory feast. Antibes is small, seaside town. Picasso loved it so much that he stayed put for 6 months and the town returned his love with a museum dedicated to his works. Located in the mountains and an easy drive from Nice, the little Riviera village of Eze has fantastic views over the Mediterranean below. In addition, there is a small Exotic Garden dedicated to both plants and succulents. 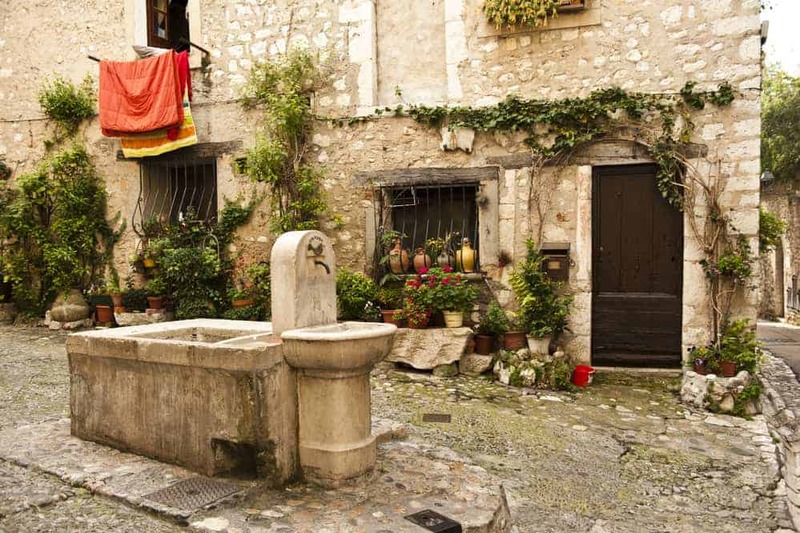 Saint Paul de Vence is a small medieval village which has been beloved by lots of famous people, especially artists like Picasso, Chagall and Matisse. In fact, Matisse spent the last 30 years of his life in Saint Paul de Vence. The town has lots of art galleries to browse. 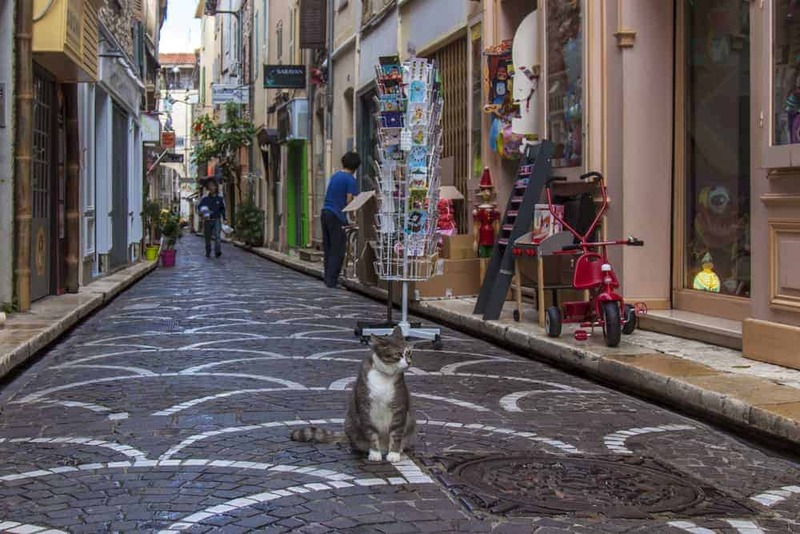 The French Riviera has a lot of artisanal crafts from ceramics to glass-blowing. You can watch the artisans or at some places you can even participate in craft workshops. For example, there is a small glass-blowing workshop in Antibes. On the plus side, your children can participate and whatever shape they create could be considered artisanal and proudly gifted to a doting relative. We like to take our children to the beach at Menton. This little town is right on the French and Italian border. 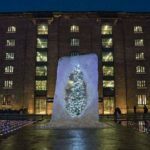 It’s got a sleepy subdued charm which is great for families. There is no ’scene’ or nightlife. Possibly Menton’s big claim to fame is being located halfway between Rome and Paris. I have a friend whose two year old wouldn’t stop eating the sand on their trip to the French Riviera. I assume your tastes are slightly more sophisticated. If you take a 15 minute boat trip from Cannes, you will arrive at the charming little island of Saint-Honore. On this little island, Cistercian monks have been making highly acclaimed wines for 16 centuries at the Abbaye de Lerins. The approximately 30 monks in residence produce 3 varieties using the same time-honoured tradition passed down through the centuries. 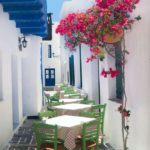 You can walk around the island, tour the monastery and have a nice lunch (with wine!). I can attest from personal experience that the wine is great! 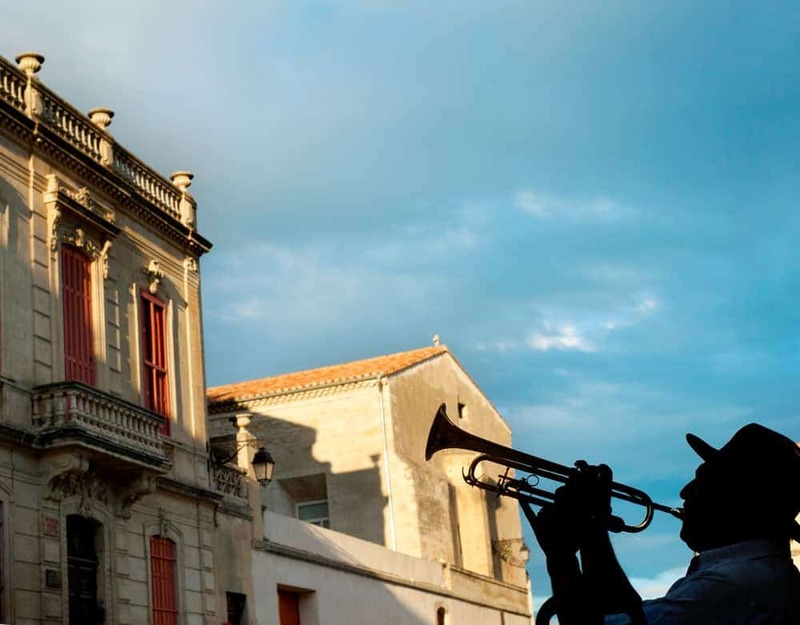 Jazz is incredibly popular on the French Riviera. In the 1920’s American author, F. Scott Fitzgerald brought the best jazz musicians to his villa in Juan Les Pins for his parties. F. Scott Fitzgerald loved the French Riviera and used a hotel in Nice as the inspiration for his famous book, Tender is the Night. In 1948, Louis Armstrong played at the first Nice Jazz Festival. 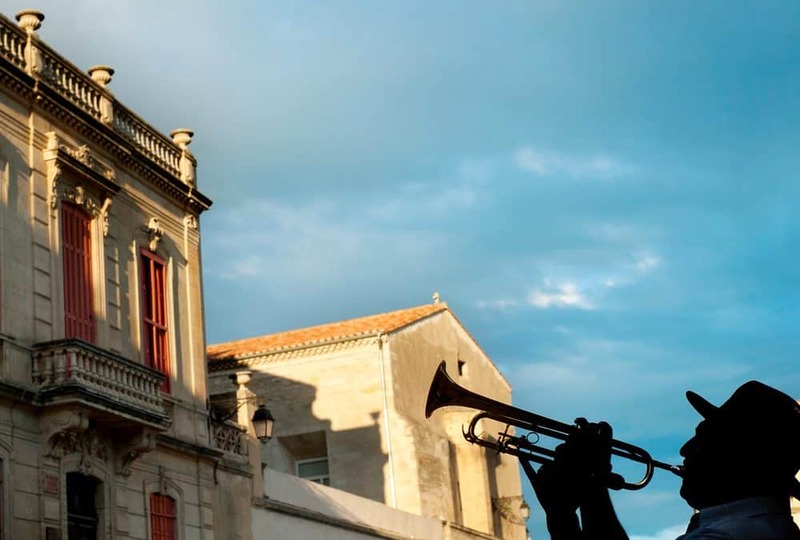 Following his lead, all of the legendary jazz musicians have performed n the French Riviera – Miles Davis, Ella Fitzgerald and Dizzy Gillespie. The Festival of Juan Les Pins brings more jazz to the locals. Held in July, the Juan Les Pins festival is usually after the Nice Jazz Festial so the party does not stop. Grasse is known as the perfume capitol of the world. Have you read the book Perfume or seen the 2016 movie, Perfume: The Story of A Murderer? If so, you will know that a refined sense of scent is highly prized. 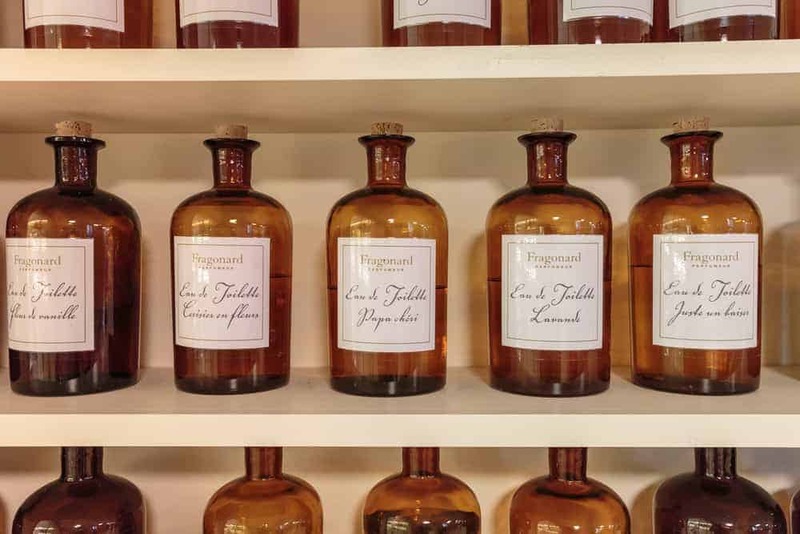 Learn more about perfume and the sense of scent the International Museum of Perfumery in Grasse. You can also stop by world-famous French performer, Fragonard, and take a perfume factory tour. There are regular, frequent flights on Easyjet to Nice from three of London’s airports – Luton, Stanstead and Gatwick. The short flight takes only 2 hours. Driving from Menton to Nice is only about 40 miles via the A8 toll road. Likewise, the drive from Nice the other way to Cannes on the A8 is about 2o miles. We usually rent a car from Hertz at Nice Airport. Although you will not be racking up the mileage on this trip, there is so much to see and do alone the French coastline. Frankly the A8 may be the fastest route but you are in the Cote d’Azur. It’s time to meander the local coastal roads and stop and smell the piney shrubs and heady scent of flowers. Our children had a habit of falling asleep in the car as toddlers. A long leisurely drive ensured we enjoyed the scenery (and peace and quiet) while the children got their afternoon nap. 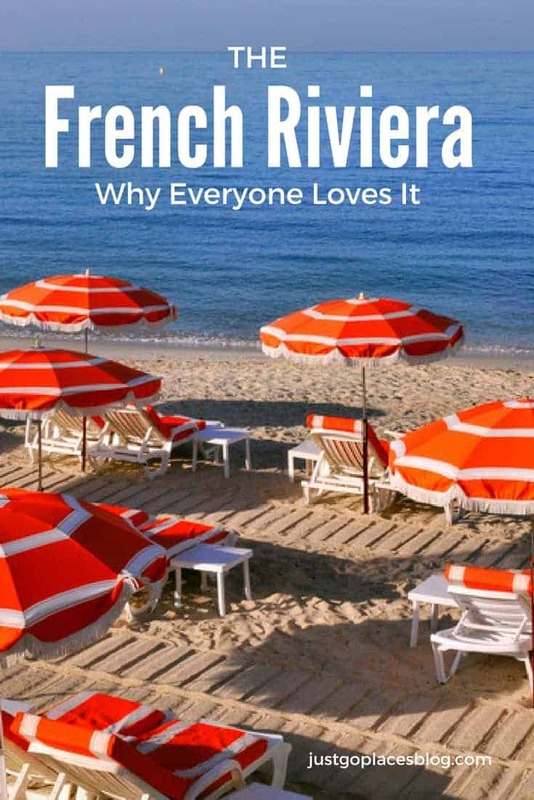 Have you wondered why the French Riviera has been a favourite vacation spot for years. All of the activities mentioned above are available through the Cote d’Azur card. The card is available for both adults and children from 4-12 years old. You can use the 3 day pass over a 6 day period which gives you plenty of options for relaxing in the sunshine and people-watching. As noted above, the French Riviera is relatively small. You can stay at different hotels along the coast, or you can stay put in one hotel and do day trips. With children, I am a big fan of staying in one hotel. We have stayed at the Hotel Barriere Le Majestic in Cannes. It is a historic luxury hotel and won’t let you forget it. The decor is traditional and there is a room service menu for dogs. You have to pay to use their private hotel beach (even if you are staying at the hotel!). The hotel is centrally located on the Croissette, Cannes’ main drag, which makes it popular with celebrities during the Cannes Film Festival. Staying there, I felt it was abundantly apparent that I was a first wife. 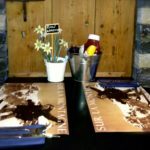 We have friends who have recommended the Hotel Juana in Juan Les Pin. The family suites at the hotel are perfect if you are travelling with children. Plus, the hotel has a pool if your children get tired of the sea. It is near the villa (now hotel) that F. Scott Fitzgerald rented during his stay in the 1920’s. In Nice, we have friends who recommend staying at the Hyatt Regency Nice Plaza de la Mediteranne. Centrally located on the Promenade de Anglais, their children loved the terrace from their room which was great for checking out street life. I certainly do think of beautiful, rich, and famous people when I think of the French Riviera. Good to know it’s attainable for us more regular folk. Menton looks adorable and totally my kinda place! It’s one of our favourites too. I will be increasing my day in France due to this post :). 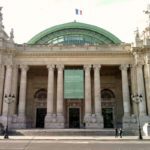 France has so much to offer that you can spend many days visiting it! 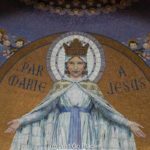 I can’t believe I haven’t made it to the Cote D’Azur yet after hearing so many wonderful things about it. And I had no idea that Grasse is the perfume capital of the world! The French take their perfume seriously – a long history too. Grass is definitely worth visiting if you are interested in perfume. I absolutely love the title of this blog and makes me a bot homesick to the cote azure! I totally agree with every point and you’ve mentioned some villages I haven’t spot before! What are a charming place! Maybe someday I can go. I really love the picture with the cat in the street. The Hotel Barriere has a room service menu for dogs (not cats!). So I don’t think cats get the same glam treatment. I like the small villages too. So much to explore, or just sit around lazing in the sun. I’ve been to Menton! It really is a beautiful area but it’s been so long since my visit that I think I need to start planning a return trip soon. We loved Menton. So low key and just easy to hang out with kids. I lived in Nice for about one year and absolutely loved it. The charm of the surrounding small towns and the spectacular views make it a really desirable place to visit or live. 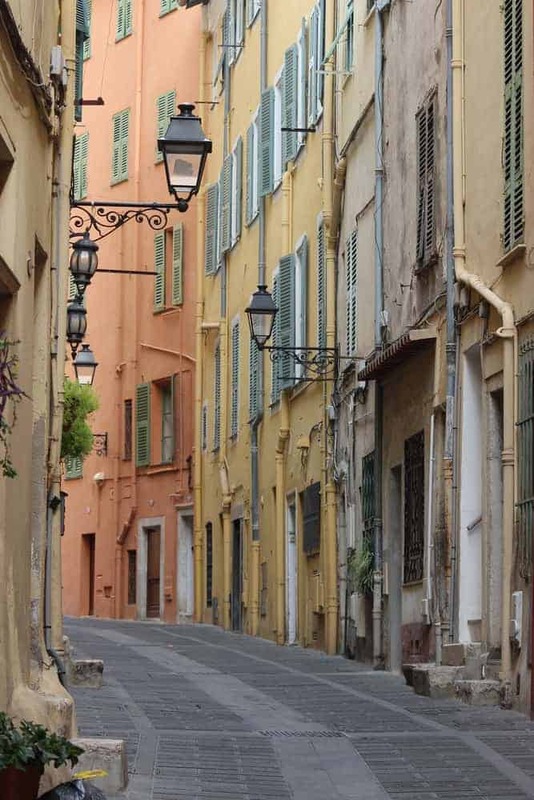 Great mention about Grasse a terrific exposure to so many wonderful scents. Reading this article flooded me with so many beautiful memories!! Thank you! Lucky you! I’d love to live there for a while! The weather alone would make me happy never mind everything else it has to offer. I’ve been fascinated with perfume making ever since reading Perfume. As someone who doesn’t have a ‘nose’ for scents I find it very cool that people have such creativity. I have always wanted to visit the French Riviera, and you have painted such a beautiful picture of it. And your pictures are fantastic! I would love to buy perfume in Grasse, and Sain-Honore sounds like a real delight. The area is so much more than the beaches! I hope you do get to visit soon. 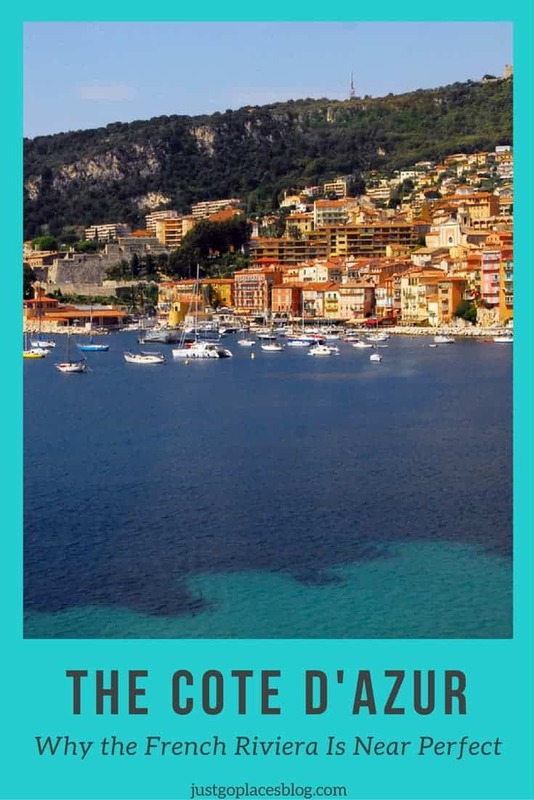 I’ve heard about the incredible drive from menton to Nice and how it’s one of the most scenic in the world, winding through villages and along the coastline – I would love to visit and explore at my own pace by roadtrip. The French Riviera is a place which calls me! I hope you do get to visit. The French Riviera really is as special as everyone says. great tips! I’ve been to the French Riviera several times, lovely area for sure! It’s a place that you could return to many times and still love.